Want this item tomorrow, Thursday 25th April? Order within the next 2 hrs 38 mins and choose Next Day Delivery during checkout. 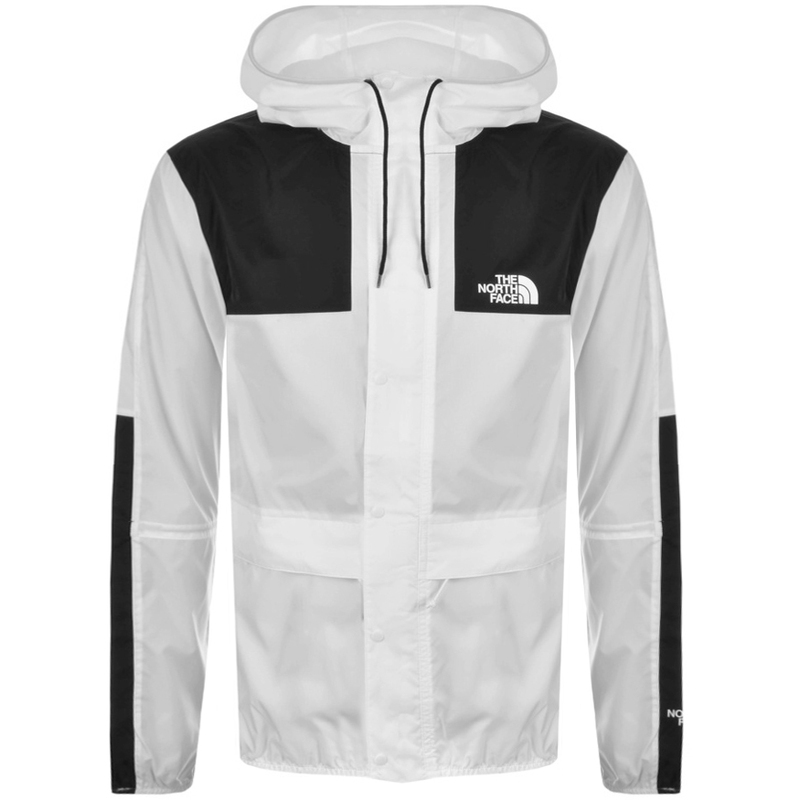 The North Face 1985 Mountain Jacket In TNF White, A lightweight, packable ripstop jacket with full front zip opening concealed by a branded press stud fastening flap. A high rise at the front of the neck and a large drawstring hood with elasticated cuffs on the long sleeves and an elasticated waistband. Two concealed zip fastening pockets at the waist with contrasting black panels on the shoulders and sleeves. The signature The North Face logo is printed on the left of the chest, the cuff of the left sleeve and the reverse of the right shoulder in white. The whole jacket can be packed away into the left sleeve. 100% Polyester. Brand New The North Face Jackets, Coats And Outerwear Live Online.